Enjoy a hassle-free arrival on Oahu with this private transfer service. Meet your driver at Honolulu International Airport, and relax on the journey to your Waikiki hotel, the cruise port, or resorts at Kahala, Aulani, or Turtle Bay. This private limousine-style service with a professional chauffeur can accommodate up to seven passengers per vehicle. Skip the stress of finding a taxi or sharing a shuttle at the start of your trip to Oahu. Simply enter your details when you book, pay in advance, and then show your voucher to your driver when you land in Honolulu. Meet your private chauffeur in the baggage claim area of the airport. 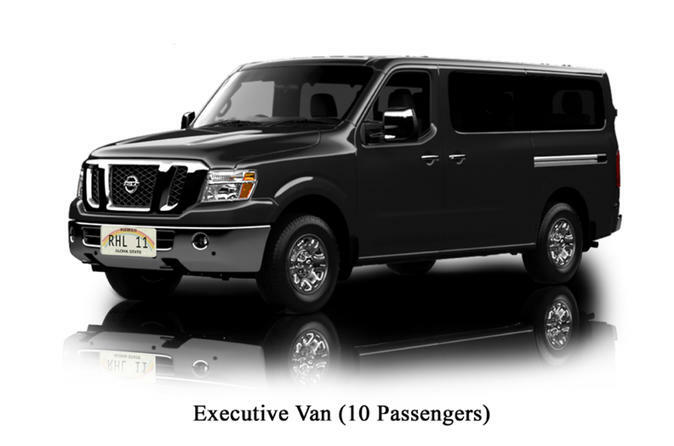 Then travel in a spacious limousine-style vehicle for up to seven passengers. Sit back and enjoy the ride to your Waikiki hotel, Kahala Resort, Aulani Resort, Turtle Bay Resort, or the cruise port. Price is per vehicle, based on one to seven passengers. Please note: There is a maximum luggage allowance of two suitcases per person.